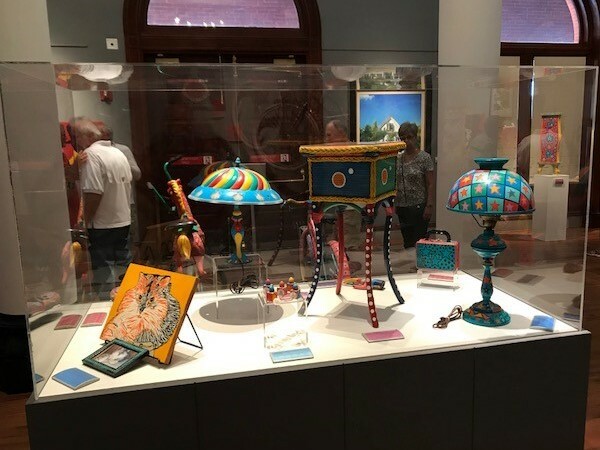 On Friday evening, April 13th, we were delighted to be a part of Key West’s Custom House Museum’s opening night preview of That’s Outrageous! 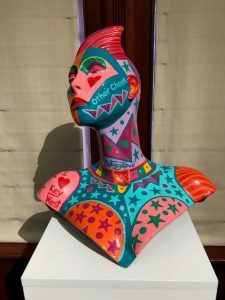 the first major exhibition to examine the pop art style artwork of one of Key West’s most beloved artists, Captain Outrageous. An unforgettable Key West character, Captain Outrageous, was a financial analyst by trade, who relocated to our island in the 1970s. 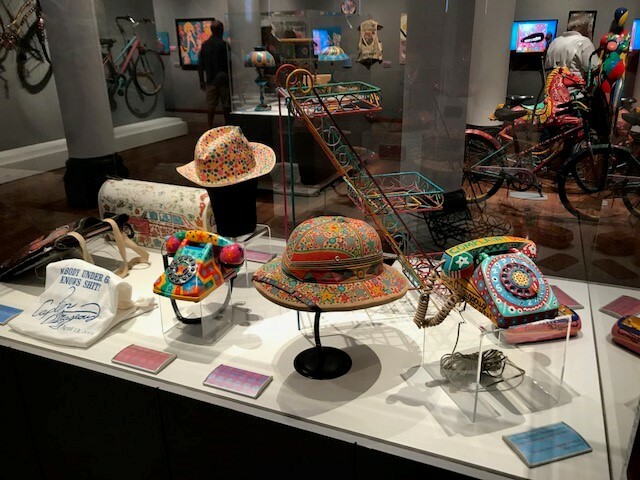 He picked up his paintbrush and painted thousands of items: bicycles, scooters, furniture, cars, camper vans, sinks, musical instruments, toilet seats, and telephones. 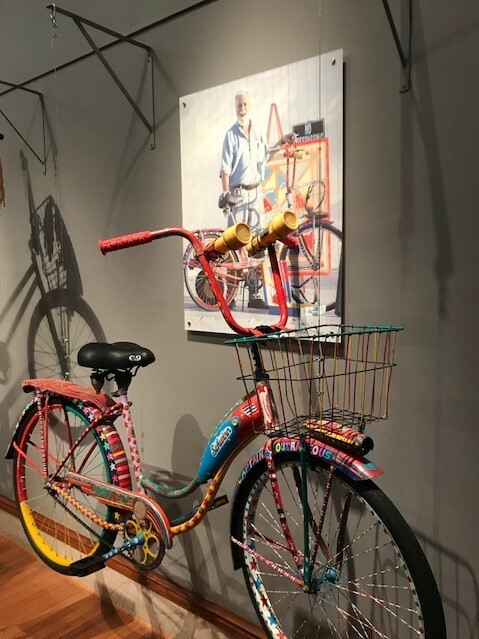 During his thirty-three years in Key West, Captain ran for mayor, operated a restaurant called The Last Straw, participated in several Fantasy Fest parades, and opened his own art gallery on Caroline Street. 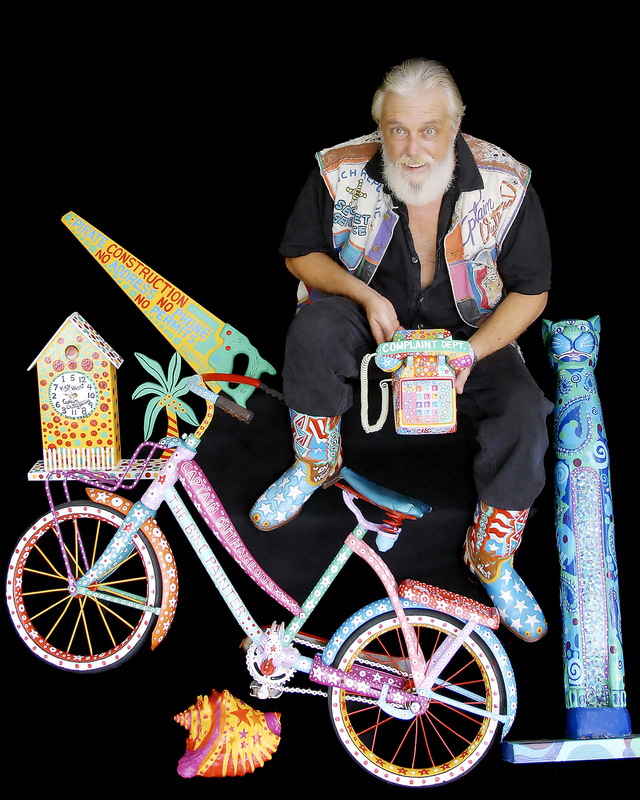 Suffering an almost simultaneous stroke and heart attack on the steps of his gallery, Captain Outrageous passed away, leaving a legacy of stories and artwork that embody the true spirit of Key West. 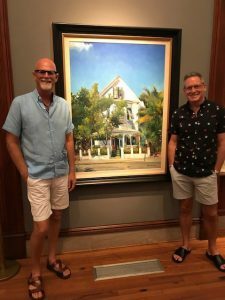 We were thrilled to see our George Lee Crosby painting of Captain’s gallery included in the beautifully curated retrospective. George was represented by Captain Outrageous’ galley and was the featured artist of the gallery’s inaugural exhibition. Captain Outrageous Galley on Caroline Street features Captain painting on the front porch, his dog Rommel in the doorway, and his two cats on the sidewalk. That’s Outrageous! 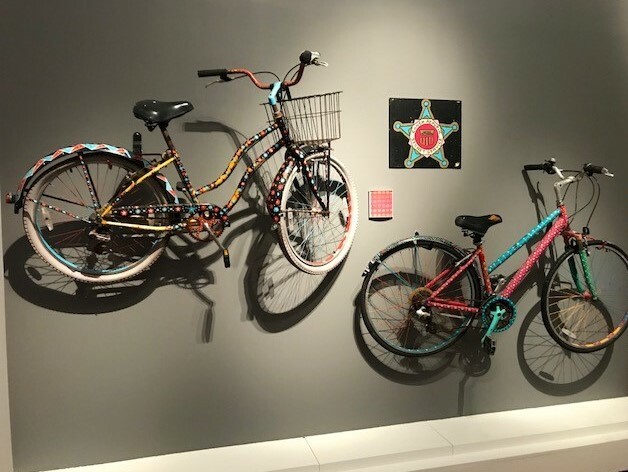 is on display in Key West’s Customs House Museum’s Bryan Gallery through June 24, 2018. Don’t miss this delightful retrospective. This entry was posted in Art Galleries, Entertainment, Museums and tagged Captain Outrageous, Captain Outrageous Retrospective, Custom House Museum, Key West artists, Things to do in Key West on April 18, 2018 by Dean.